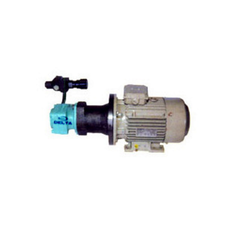 Leading Manufacturer of electric motor pump assembly from Pune. We fabricate and supply precision-engineered motor pump assemblies and Electric Motor Pump Assembly are used in diverse assembling operations in diverse engineering and industrial applications. High grade raw material procured from certified vendors is used in our motor pump assemblies. This makes it perfect fit with diverse equipment and accessories. Looking for Electric Motor Pump Assembly ?